I have two drawers full of utensils in my kitchen. One has spoons, forks, and knives nestled snugly in a utensil organizer, and the other has a bunch of loose cooking spoons, ladles, spatulas, and other such cooking utensils. It’s not that I don’t want to keep the second drawer organized, it’s just that I haven’t found a good way of organizing all of my larger utensils. 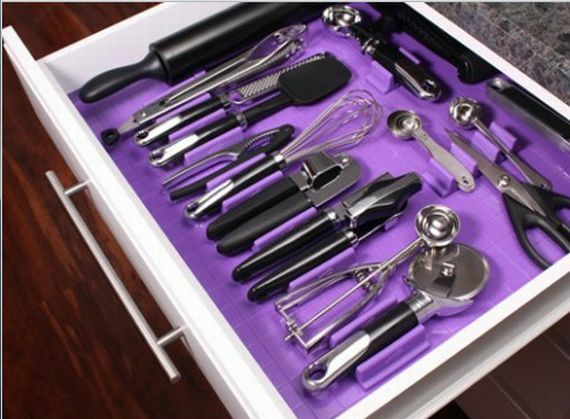 The makers of DrawerDecor apparently know exactly how I feel, and they’ve designed an adjustable drawer organizer that can keep all of your cooking utensils separate. Now, if only it were this easy to organize my pots and pans my kitchen would be a far better place.